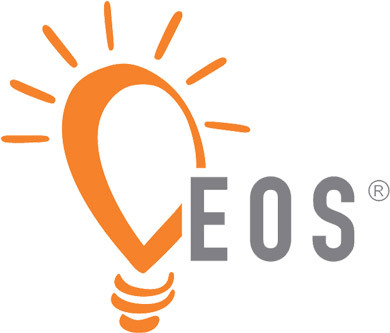 Strategic Catalyst, Inc. is passionate about helping business leaders and entrepreneurs succeed and implement the Entrepreneurial Operating System® (EOS®). The EOS Model™ is ideal for any size business in any industry. Comprehension – does everyone involved in the business clearly understand the plan? Appropriateness – are the strategic/business directions aligned with the company’s constitution? Sustainability – will the strategic/business directions ensure the long-term future of the business? Feasibility – have all the strategic/business directions in the plan been considered thoroughly, is implementation possible, and are all supporting goals, objectives, and strategies realistic, practically achievable, affordable and comprehensive? Accountability – is leadership accountability clearly defined, adequately resourced, and well prepared to implement the plan? Has effective remedial action been planned should leadership shortcomings occur with plan implementation? The best strategic plans are created by a strong group led by a good facilitator and leader that understands the plan development process. Strategic Catalyst serves as the necessary neutral facilitator, not partial to any individuals in the business, and acceptable to everyone involved. Strategic Catalyst does not take a position in any of the issues raised, nor advocate a solution or attempt to directly solve the problem. With Strategic Catalyst as an objective “third party” facilitator, this ensures group members feel safe about voicing their opinions, being heard, and having a vested stake in the outcome of the plan. WHY STRATEGIC CATALYST FOR EOS? Christine Spray is one of a very small group of consultants in the world to have earned the qualification of Certified EOS Implementer, granted by EOS Worldwide. Christine is also a nationally recognized keynote speaker, best-selling author three times, consultant, trainer, and executive business coach. She serves as a CEO and business advisor with a passion for helping people and companies grow. Christine offers a complimentary 90-minute session for the CEO and Leadership Team ready to learn about EOS and take their business to the next level. This targeted session includes an assessment of the business landscape and an overview of EOS. 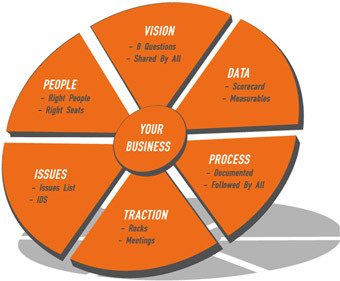 How you work with Strategic Catalyst is your choice. Christine can help implement EOS for your business, train your staff on the EOS principles, and then turn it over to you and your team to run. She can also maintain regular involvement with your leadership team to ensure progress toward goals. The Strategic Catalyst promise is that any investment you make with the firm will be recovered with increased revenue.